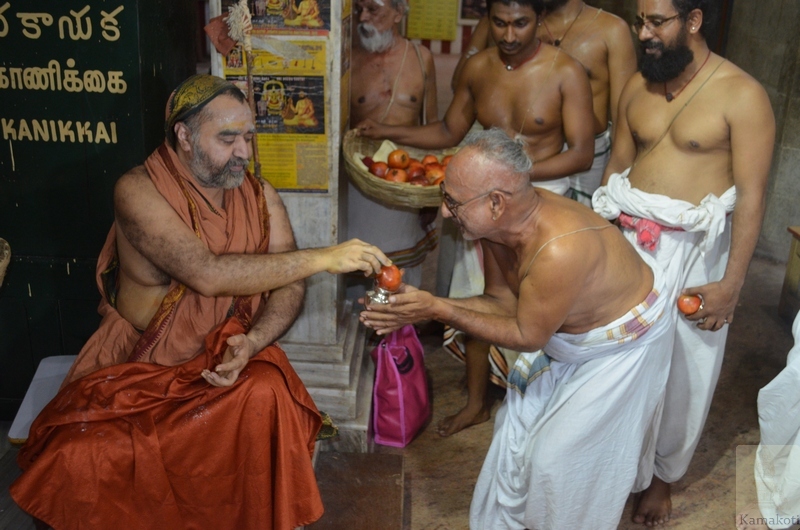 Rigveda Ratha Parayana Poorthi was held at Srimatam during the Swarna Ratha Utsavam yesterday in the divine presence of His Holiness Pujya Shri Jayendra Saraswathi Shankaracharya Swamigal & His Holiness Pujya Shri Shankara Vijayendra Saraswathi Shankaracharya Swamigal. 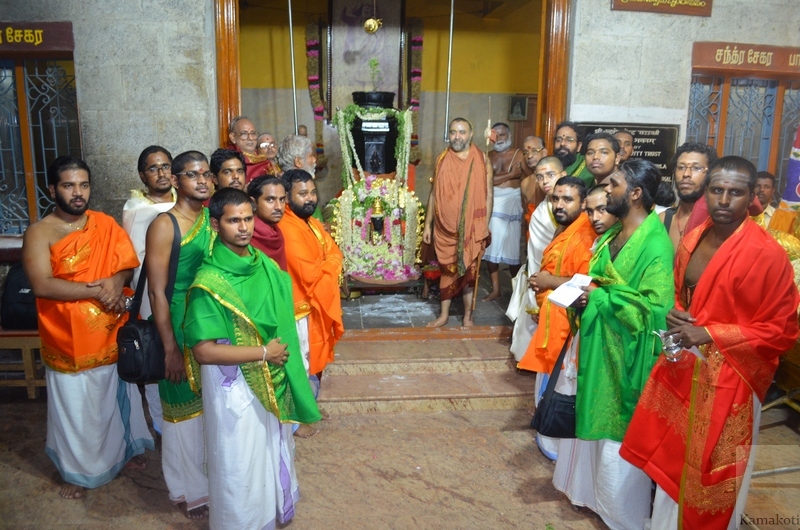 A batch of 20 Rig Veda Vidwans led by Sri Trikoti Ghanapathigal & Sri Venu Ghanapathigal commenced the Rig Veda Ratha Parayana with the divine blessings of His Holiness at Chidambaram Nataraja Temple and completed the Ratha Parayana during the Ratha Utsava at Srimatam. 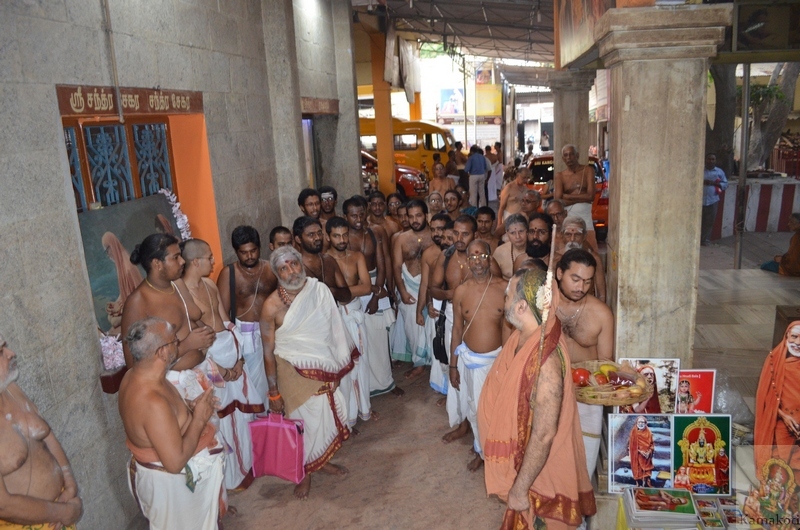 While Sri Periyava led the Ratham, the Vidwans followed with chanting of Ratham accompanied by Sri Bala Periyava. At each corner around the Adhisthanam, the Vidwans chanted Chatuscakra Ratha Vikruti Patha. "||Jata Mala Shikha Rekha Dhvajo Dando Ratho GhanaH:||"
In Rigveda there are eight Vikruti Pathas. 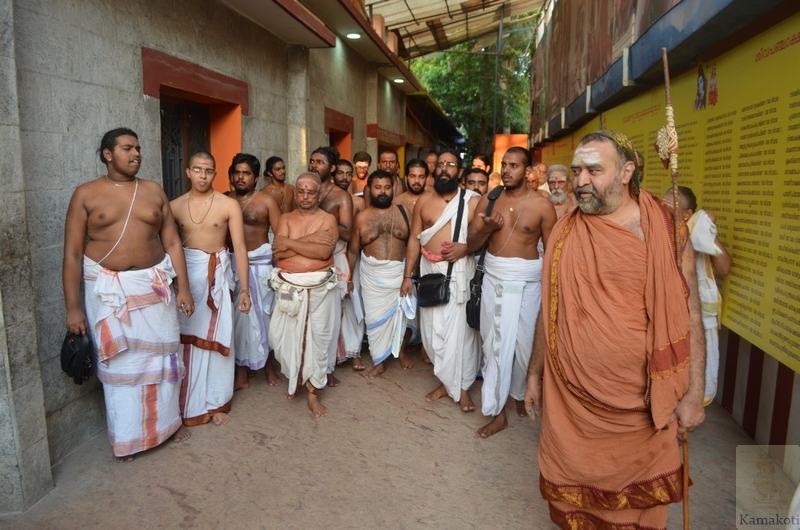 Each one is a unique way of chanting the Rigvedic Mantra. 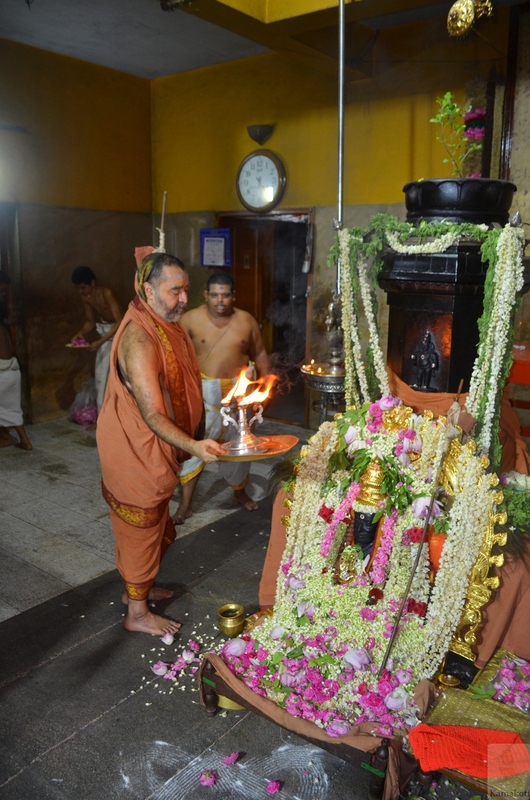 His Holiness then blessed Swarna Kankanam to Sri Trikoti Ghanapathi & Sri Venu Ghanapati. 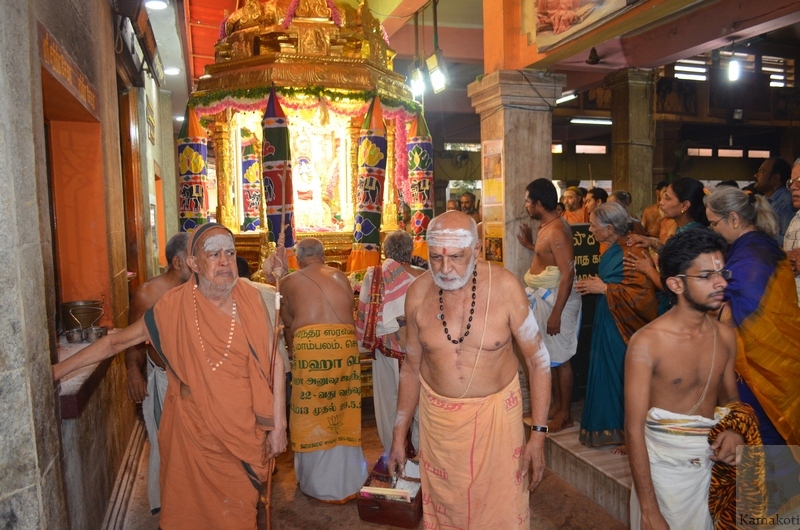 All vidwans were honoured with Shawl, Silver bowl (Teertha Patra) & Sambhavana in the divine presence of His Holiness.